Following their quietly released 2011 debut ‘American Specialties’, ‘Light Up Gold’ caught the ears of everyone paying even a little bit of attention, garnering glowing reviews across the board for its weird colours and raw energy-saturated punk songs that offered crystal clear lyrical snapshots of city life. It was immediately memorable - a vivid portrait of ragged days, listlessness, aimlessness and urgency, broadcast with the intimacy of hearing a stranger’s thoughts as you passed them on the street. 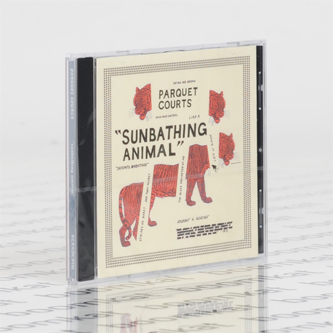 ‘Sunbathing Animal’ isn’t a record about hopelessness, as any sort of incarceration implies an understanding of freedom and peace of mind. Fleeting moments of bliss are also captured in its grooves and extended at length, as if to preserve them. Pointed articulations of these ideas are heard as schizoid blues rants, shrill guitar leads, purposefully lengthy repetition and controlled explosions, reaching their peak on the blistering title track. A propulsive projection of how people might play the blues 300 years from now, ‘Sunbathing Animal’ is a roller coaster you can’t get off, moving far too fast and looping into eternity. 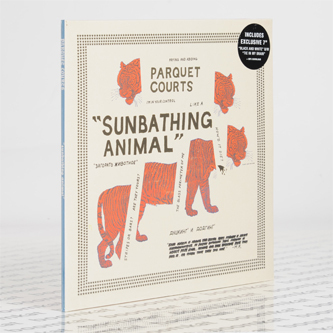 Much as ‘Light Up Gold’ and the subsequent EP ‘Tally All The Things That You Broke’ offered a uniquely tattered perspective on everyday city life, ‘Sunbathing Animal’ applies the same layered thoughts and sprawling noise to more cerebral, inwardlooking themes. While heightened in its heaviness and mania, the album also represents a huge leap forward in terms of songwriting and vision. Still rooted firmly in the unshackled exploration and bombastic playing of their earlier work, everything here is amplified in its lucidity and intent. The songs wander through threads of blurry brilliance, exhaustion and fury at the hilt of every note."